Als Untergrund habe ich 2 Schichten Butter London Cotton Buds aufgetragen. 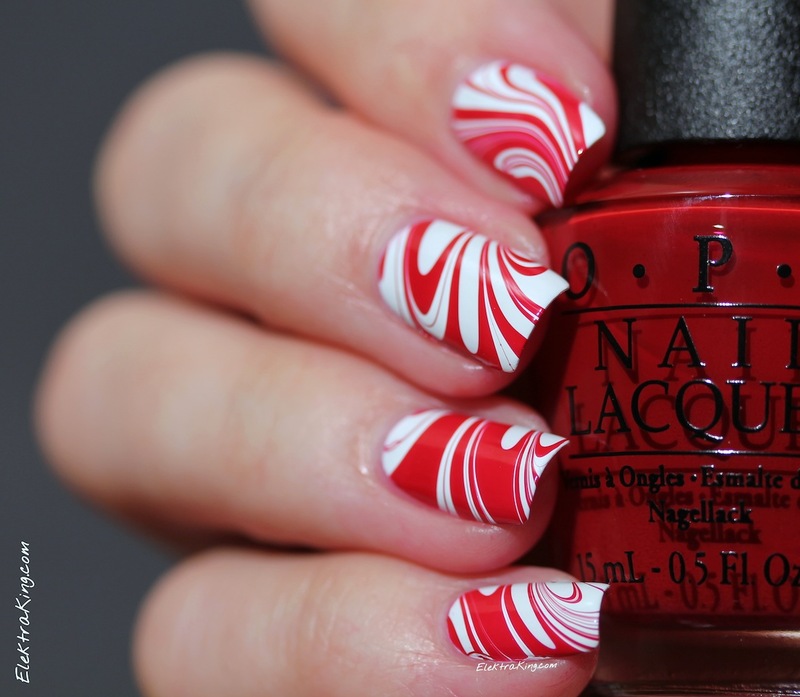 Für das WaterMarble-Design habe ich OPI My Boyfriend Scales Walls (weiß) und OPI All I Want For Christmas Is OPI (rot) verwendet. Ich habe nicht gewagt Top Coat aufzutragen, weil ich panische Angst gehabt habe, dass ich damit das Muster verschmieren könnte! I applied 2 coats of Butter London Cotton Buds as a base. 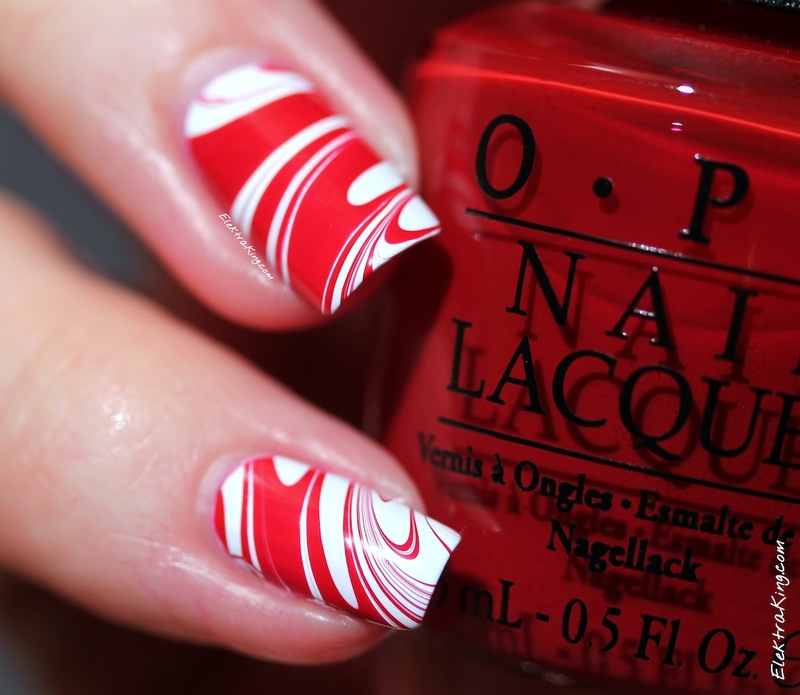 For the water marble I used OPI My Boyfriend Scales Walls (white) and OPI All I Want For Christmas Is OPI (red). I did not dare to put top coat on it. I really don’t know what I would have done if I had smeared the design! 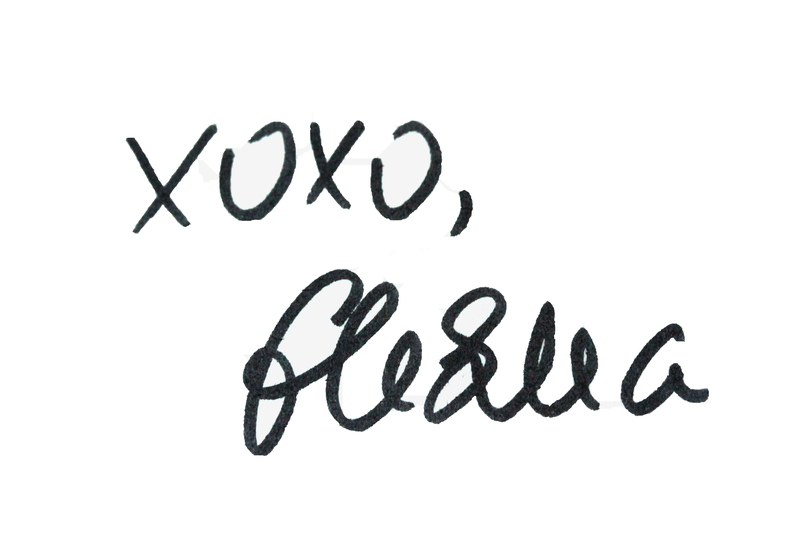 Have a great evening, ladies! 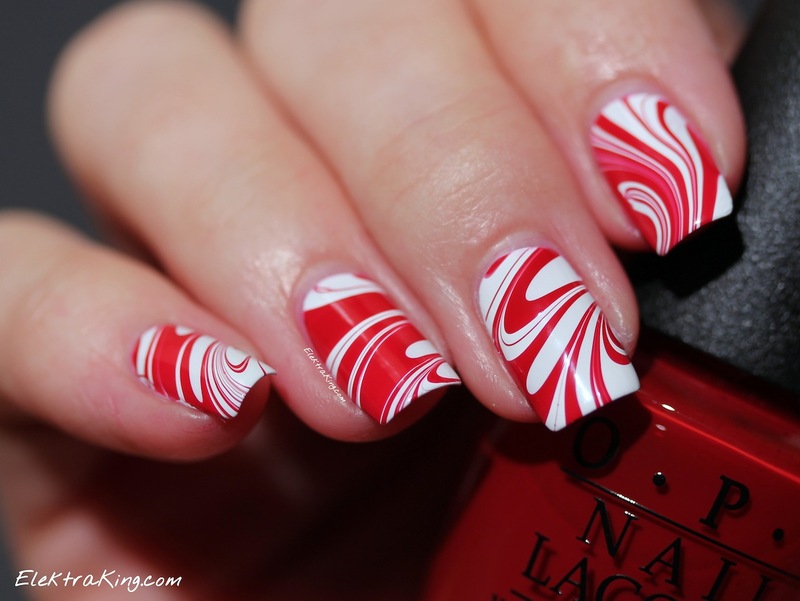 Adore this, what a creative way to do candy cane! Haha 🙂 Thanks so much! I was so happy to have found polishes that worked so well together! Because I learnt from Youtube videos that the red polish can easily ‘bleed’ into the white creating a pinkish and blurred design and of course I wanted to avoid this. 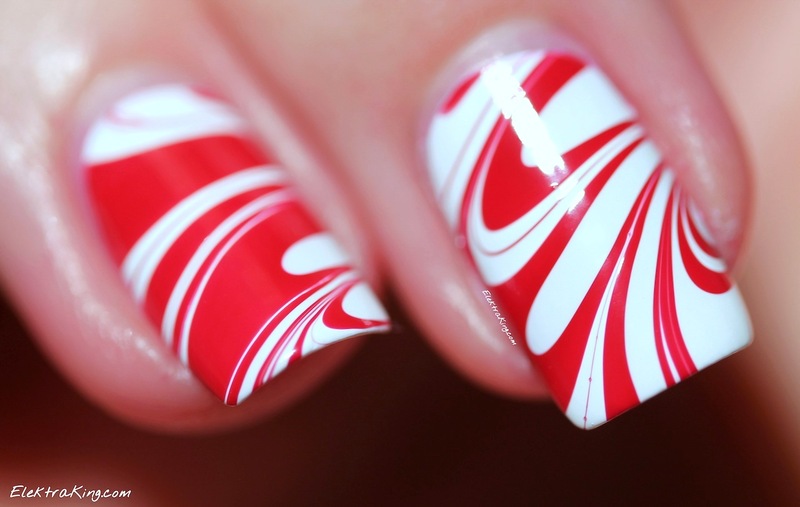 Thank you 🙂 I never thought I would accomplish such a cool candy cane design! Great job! It turned out fantastic! Thank you so much! 🙂 I’m glad you like the design!